Do I need a MailChimp account to use PowerMailChimp? Yes. If you do not already have a MailChimp account, you can sign up for a free version of MailChimp here. With the free version of MailChimp, you can send up to 12,000 emails per month, and have up to 2,000 subscribers. Beyond that, MailChimp offers a number of different pricing models. Please note that MailChimp fees are billed separately by MailChimp. How much does PowerMailChimp cost? A subscription to PowerMailChimp is $2/enabled CRM user/month. 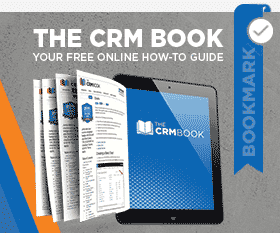 A user is defined as anyone enabled in your CRM system, including admin and read-only users. How often are the MailChimp statistical data synced back into my CRM? For the first 72 hours (3 days) after a PowerMailChimp Blast is sent, the data will be synchronized once per hour. From hours 72–144 (3-6 days) after send, the data will be synchronized once per day. Between 145 – 720 hours (7-30 days) after send, the data will be synchronized once per week. After 30 days, then the PMC Blast will NOT sync any more. MailChimp is a third party bulk email provider, that provides a low-cost, robust bulk emailing solution to its users. You can find out more about MailChimp on their website. Log into your MailChimp account, hold your mouse over the Account tab in the upper right hand corner, and click on API Keys and Authorized Apps. If you don’t already have an API key listed there, click on Generate API Key. Copy and paste the API key into the PowerMailChimp configuration screen. What is the MailChimp Configuration tab for? In this tab you’ll connect your MailChimp account and set the sync duration for marketing lists on blasts. Double click in the value column of the API Key and enter your MailChimp API key. The Marketing List Synch Duration field is set (by default) to 30 (minutes). This value indicates the maximum length of time between the last sync of the Marketing List(s) and the time the Blast ID is generated. For example, if you send out a PowerMailChimp blast and the marketing list(s) it’s being sent to have not been synced in the past 30 minutes, the list will sync right before the MailChimp Blast ID is created. If you’d like to change this value, you can put in value in minute format (please do not use letters or characters). Which PowerMailChimp security role do I need? In order for CRM users that are not system administrators to be able to use PowerMailChimp, they will need to be assigned to one of the PowerMailChimp security roles that are automatically imported into the CRM. Every user who would like to have access to view PowerMailChimp blasts and statistics, but not be able to create or send a blast will need the PowerMailChimp Read-only User security role assigned to them. Every user who would like to have access to PowerMailChimp to create and save blasts, but not be able to send blasts will need the PowerMailChimp Do not allow Send and Schedule Blasts security role assigned to them. Every user who would like to hide the Jump to MailChimp button from view will need the PowerMailChmimp Hide Jump to MailChimp security role assigned to them. Every user who would like to have access to PowerMailChimp (anyone who is sending out blasts from CRM) will need the PowerMailChimp User security role assigned to them. The PowerMailChimp Service User security role is meant to be assigned to a user who does not have the System Administration security role but whose CRM login information is listed in the PowerMailChimp configuration screen, under the CRM Login section. System Administrators will automatically see PowerMailChimp in their left navigation and be able to use PowerMailChimp without even having the security role assigned. Can I just add HTML code to the template area of the blast? No, you must select a template that’s in MailChimp. You can upload your own HTML template or create one using their templates and editor. Can I send my email blast to more than one type of entity? Yes! With PowerMailChimp you can send blasts to multiple marketing lists of different entities (i.e. Accounts, Contacts, and Leads). How can I check if my Marketing List synced to MailChimp? Once you have your Marketing List open, select the MailChimp Synchronized from the sub-menu by clicking the chevron next to the name of the Marketing List. The view will display the syncs along with the number of new subscribers added, the subscribers whose info was updated, and the subscribers with errors. You can view the error details of the sync by double-clicking the sync record. Then select MailChimp Sync Error(s) from the sub-menu by selecting the chevron next to the name of the record. The new window will show each of the subscriber email addresses that could not sync along with the reason for the error. How do I test, send, or schedule my PowerMailChimp blast? Once you have all of the details necessary specified for your PowerMailChimp Blast, click ‘Save’ in the upper right-hand corner to be certain you have captured all changed you made to the form. You will know that your blast has been successfully saved in MailChimp when you get a MailChimp blast ID populated back in CRM. Now that you have saved the record, the MailChimp send options under the ellipsis(…) will become available. There are three send options. You can send a test email up to 3 recipients at a time. This is a great way to test how the email will look when viewed in different email provider inboxes. You can choose to send the blast now which will place it in MailChimp’s queue and it will be send typically with in a couple hours. Your third option would be to schedule the delivery of the PowerMailChimp blast for a future date. Once you schedule the blast, you will notice there is now the option to ‘Un-Schedule Delivery’ under the ellipsis. If you choose to un-schedule, a dialog box will open confirming that the blast was un-scheduled. Which email address is synced to MailChimp? PowerMailChimp syncs the CRM Marketing Lists and cannot change the base CRM Marketing List functionality. CRM adds the email address listed in the emailaddress1 to the marketing list, if this field is empty then emailaddress2 will be added. How do I link my Google Analytics account? You will link your Google Analytics account in MailChimp, you can find instructions in their knowledgebase article. How do I schedule a blast in international date format? At this time, blasts can only be scheduled in US date (mm/dd/yyyy) format. To ensure that the blast is being scheduled for the correct date, please us the the date picker. If I try to select a MailChimp list or template, the pop-up window is blank. What can I do? Try adding your CRM URL to the list of ‘compatibility mode sites’ in your browser settings, for example *.crm.dynamics.com. Then go back and try to select the MailChimp list again. You should now see your MailChimp lists in the window that pops open. When attempting to send a PowerMailChimp blast, I get a 'Campaign_EgpPrediction_Exception' error? Why are my scheduled blasts sending at a different time? If you’re blasts are sending at a different time than scheduled, the most likely cause is that time zones in CRM and MailChimp do not match. Please verify your time zone setting in MailChimp. Please be aware that some time zone have more than one option in MailChimp. Also note, that sending a blast places it in MailChimp’s queue and depending on their volume could take a couple hours to send.